Home / Exercise & Fitness / Are You Walking the Right Way? Time to Check Now. Are You Walking the Right Way? Time to Check Now. Your posture and walking pace can serve a long way to avoid the strain on your feet and legs. 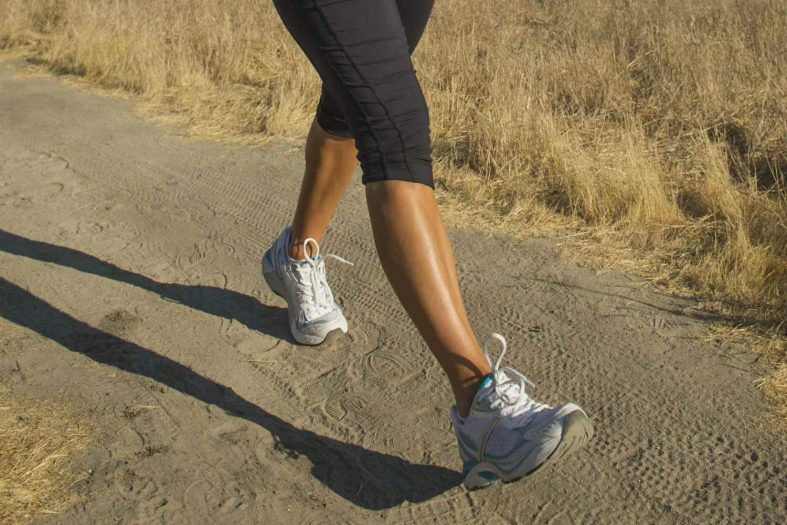 Check out the right way to walk towards a healthier & leaner you. Avoid taking too long a stride: Doing so can rapidly fatigue your muscles and cause you to end up walking less of a distance. Walking with increased stride does burn more calories but the lowered overall time spent walking can be less effective in the long run. Try pushing off your leading foot with more force while keeping it closer to the body. This type of walking technique is regularly used by professional speed walkers and has been proven to be effective in minimizing fatigue. Focus on walking with your heel touching the ground first and then rolling your foot onto your toes. This is considered the best stepping technique for low impact. Walking faster might lead to dropping immediately to the middle of your foot. Not hitting with your heel first adds a great deal of stress to your ankles and knees. When rolling your foot forward, be sure to do so using the center of your foot. Upon careful examination, many people find that they tend to roll the outside of their foot when they walk. This can cause sprains from trips and falls and result in uneven wear of your walking shoes. While taking the next step, push with your entire toe. Not doing so can cause fatigue that will hinder calorie loss during exercise sessions. Be sure to rotate with your hips while walking. The motion should move fluidly from front to back. Twist at your waist as you walk. The twisting motion that this creates can look strange to an onlooker but is valuable for maintaining the maximum efficiency during your workouts. Try to keep your back straight. Bending forwards or backwards can result in a reduction in speed. Maintain a 90-degree angle with your arms bent at the elbow for maximum efficiency. Keep your hands relaxed while walking. Keep your arms as close as possible to your body while swinging them backwards and forwards to keep your motions fluid and effective for calorie burning. To speed up your walking workouts, try increasing the speed at which your arms swing back and forth. You may be amazed that this will trigger an increase in your walking speed. Maintain a relaxed feeling in your neck and shoulders. Focus on looking at what is always directly in front of you and keeping your head held up straight. Challenge your workout with these new ideas to walk off the weight.